You’re going to have an accident here. An accident, here at this intersection. I furrowed my brow as I listened to my mom unfold a series of events that led to her foretold accident at the very intersection she described. She was on her way to work one day when God told her about an impending accident. Mom, being a strong woman of faith, simply thanked Him and stored it back on her heart-shelf to examine later. Two months later, the day came. She was at a complete stop, waiting for the light to turn green when all of a sudden her vehicle lurched forward; the sound of metal crushing ripped through the air. “What in the world? !” was my mom’s response to it all. From her rear-view mirror she could see a small, tin bucket of a vehicle with a young man behind the wheel. Mom calmly got out, made a quick assessment of the situation and asked the man if he could follow her through the intersection and into the business complex parking lot so she and he could have a conversation. The guy agreed and puttered his vehicle the 200ft into the business complex. When mom got out of her vehicle, she made sure that he was unharmed in the collision and cooly let him know that she called the police so they could take the statement and the insurance could take care of the rest. “Oh, ok. Cool,” replied the guy and he nonchalantly walked back to his vehicle, got in the driver seat, and took off full speed in reverse. Mom just stood there watching this kid in complete silence and utter disbelief as he rammed his beat-up lemon over a hedge, hastily brake to shift, then peeled out of the parking lot and onto the major roadway. The whole thing was rather comical to watch but also completely bizarre. Even the onlookers didn’t see that coming! “This needed to happen and I knew you would be able to handle this situation,” He said. “Oh, Ok. Thanks,” was mom’s reply. The police came and took mom’s statement and everyone went their separate ways. Later, mom got a phone call from the police saying the young man was apprehended and asked if mom wanted to press charges. She declined since there was no real damage to the vehicle and no one got hurt (thank you, Jesus! ), save for the unsuspecting hedges that the young man took out. 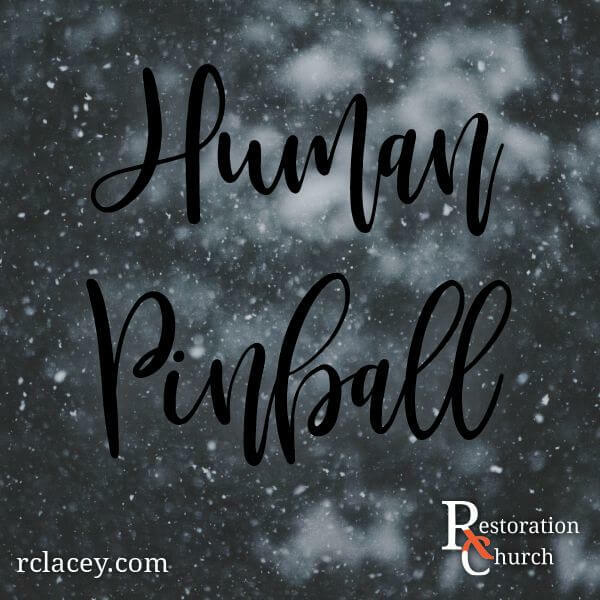 As I sat there listening to my mom’s story, I got to thinking about God’s response to mom’s question that day– This needed to happen and I knew you would be able to handle…” I wondered what sort of need would prompt God for Him to orchestrate such a strange series of events. The only idea that I could come up with was this: God was answering a prayer for someone who must love this young man and for some reason, it had to be a vehicle accident with not just anyone. It needed to happen with someone who puts their entire trust in Him. God is so awesome and totally an out-of-the-box thinker. Perhaps this car accident was exactly what needed to happen for the young man but He also needed someone who would keep their cool and have complete trust in Him through the process; “…I knew you would be able to handle.” And you know what? That made me think of my relationship with Father God. Do I completely trust Him to allow Him to use me as He sees fit? Do you? It’s easy to trust God when the blessings are flowing in and you’re blessing others with your overflow. But what if being a blessing to someone also means taking a hit (literally in my mom’s case) if for nothing else, because God knows we can handle it and He’ll cover us through the process? Like I said, God is totally an out-of-the-box thinker. 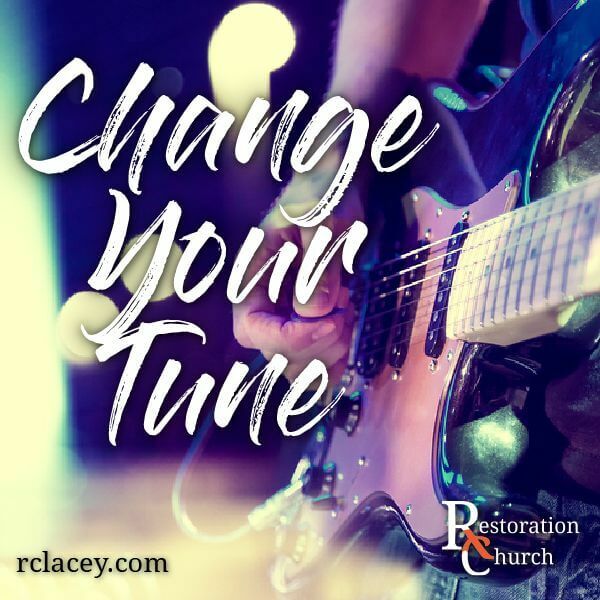 May God’s goodness into(in not into) your life bring you fresh revelation (delete this and) and in all things! I love the story of Esther. It’s a thrilling story of a young Hebrew woman named Hadessa who captured the attention of the very powerful, very wealthy King Xerxes of Persia. Taking the advice of Mordecai, her guardian, Hadessa assumes a Persian name, Esther, in order to hide her identity as a Jew. The king eventually takes Esther as his wife; a real Cinderella story! Except the story doesn’t end there. A man named Haman was bent on taking revenge for his ancestor’s genocide on the entire Jewish population in Persia. Haman convinced King Xerxes that the kingdom would be better off without the Jews and he was Xerxes’ guy to see the job done. And so a decree was made that the Jews would be executed throughout the country. I’m sure you can imagine the kingdom was in an uproar and the Jews were absolutely devastated with grief. Who would save the Jews? Mordecai sent a message to his charge, Queen Esther, and implored her that she was in a position of power to do something about this. If she didn’t, Mordecai had faith that someone else would help the Jewish people, but also believed that she was placed in the palace for a reason. What Mordecai was asking of her wasn’t a simple request. To go to the king without his explicit invitation to do so meant almost certain death. How could she save her people? “Go and get all the Jews living in Susa together. Fast for me. Don’t eat or drink for three days, either day or night. I and my maids will fast with you. If you will do this, I’ll go to the king, even though it’s forbidden. If I die, I die,” Esther 4:15-16 (MSG). I love how her vulnerability is also her strength in this moment. She didn’t have a grand plan to outmaneuver her enemy but what she did have was her tribe (the people closest to her). And together with her tribe, they set themselves to do some spiritual pre-game warfare. And that, my friends, made all the difference.  During our church-wide fast, I encourage you to reach out to the people who are closest to you and have them come alongside you in your prayers and petitions to God. Be vulnerable like Esther– you don’t need to fast alone! May you and your tribe press in and expect breakthroughs and answered prayers. I’m with you! “Doesn’t that drive you nuts? !” She asked. “What do you mean?” asked the lady in blue. “That phrase ‘small potatoes’… I mean, why ‘potatoes’? I don’t even like potatoes. Why can’t it be, ‘small cucumbers’ or ‘small kiwis’?” The first woman’s nose scrunched as she said this, clearly making an extra effort convey her exact opinion of the matter to her friend. “Why should it drive me nuts? I like potatoes. Besides, it’s just a figure of speech. An idiom,” she lady in blue cooly replied. “I know that,” exasperatedly replied the first woman. “I don’t like potatoes, so obviously there has to be an idiom about potatoes just to throw salt on the wound. It just seems like everyone and everything is against me, including God.” At this point, the woman sighed and resigned herself to the drink she purchased. Both women sat in silence for what seemed like an hour. The woman took another sip of her drink before taking another deep breath and exhaling all the air she possibly could out of her lungs. The lady in blue gauged her timing and allowed her friend the space to gather her thoughts before she spoke again. “Ok. It isn’t about the potatoes,” she sighed. “I gathered,” the lady said with a half-smile. The lady in blue sat in her own silent wisdom for another few moments. It wasn’t easy seeing her friend like this, she knew, but being there for her friend (thick and thin) was small potatoes compared to the eternity of no more tears and no more sorrows the Bible promises. Her friend scrunched up her nose again. This told the lady in blue that she had hit a nerve and they were now at an impasse– it all depended on how her friend was going to receive it. It’s a start, thought the lady in blue. Her friend was at least considering the notion that all her emotional pain has a redemption plan. Quietly, the woman spoke up again. “I still don’t see how my biggest struggle of my life is small potatoes. It’s almost insulting, like God doesn’t understand or care what it’s doing me.” Her hand made a fist in her lap and she choked down the bitter tears. The woman’s countenance slumped into defeatist mode. She sighed and decided that the tears would be OK so long as there weren’t any heaving sobs to accompany the display of hurt. This was the lady in blue’s cue. “God doesn’t see your situation or pain as small potatoes. He is very familiar with your pain, probably more than what you could know. There is something He wants to show you, but you’ve got to be brave and hopeful that on the other side of your situation isn’t ruin, but glory. And besides, I’m here for you too,” she added, bringing some levity into the conversation. The woman shook her head in disbelief and muttered, “How?” The lady in blue pulled out her phone and opened the Bible app on her phone. The woman took the phone from her friend and began to read 2 Corinthians 4:18 (MSG). So we’re not giving up. How could we! Even though on the outside it often looks like things are falling apart on us, on the inside, where God is making new life, not a day goes by without his unfolding grace. These hard times are small potatoes compared to the coming good times, the lavish celebration prepared for us. There’s more here than meets the eye. The things we see now are here today, gone tomorrow. But the things we can’t see now will last forever. Slowly, a visible peace settled on the woman. For the first time in a long time, the woman looked at ease. It was going to be a battle, she knew, but it wouldn’t last forever. She took heart in the promise that God spoke into her heart– that although she cared nothing for potatoes, figurative or otherwise, she was known and loved by the One who loved to turn hardships into triumphs. “Small potatoes,” the woman sighed with a subtle smile. “Small potatoes,” replied the lady in blue. Friends, I hope you were encouraged by this short story. 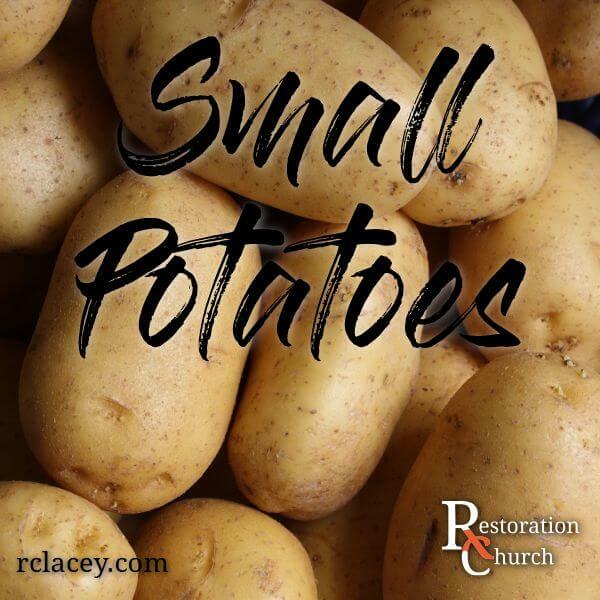 Often times the difficult seasons in our lives are definitely not small potatoes to us. But nothing is too big for God to handle nor is anything too small to go unnoticed by God. He loves us deeply and intimately. Take comfort in the knowledge that whatever you’re going through, it has a definite end. It has a purpose. It does not go unchecked or unnoticed by our Father in Heaven. Put your trust in Him and you will not be disappointed! For the longest time I expected certain things in my life. I expected my friends to be supportive and attend my birthday parties. I expected that the people I loved would still write to me long after I moved away. I expected myself to get top marks in all my classes. I expected to have an awesome career and be completely satisfied with my life by the time I was 30. I expected, I expected. Do you remember what it was like to have a crush on someone? We languished for the half-second glances in our direction and for the rare moments of small talk. To all the ladies out there that graffiti’ed arrow-pierced hearts throughout diaries with your crush’s name inside and picked petals off of daisies, I’m right there with you. To all the fellas, you probably did something sweet and spontaneous to your crush like kicked her in the shin, pulled her hair, or risked detention to impress her. Did it work? Bottom-line, we got goofy when it came to our crush. Do you also remember those terrible feelings when your crush rejected your love? Or worse yet, found out that your crush had a crush on someone else? Complete devastation! The road to recovery was long and painful. Did you eat buckets of ice cream and binge watching re-runs of your favorite sitcom? Did you find a replacement crush? Perhaps sworn off love or went into denial? Either way, it wasn’t pretty. 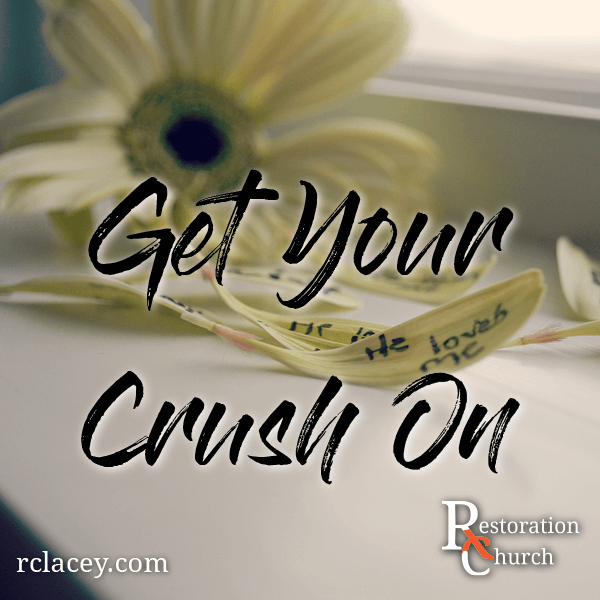 What if I told you that God has the biggest crush on you – to the point that it’s absolutely ridiculous? This goes way beyond diaries with hearts and kicking shins. He architects our life-dreams with the upmost anticipation that we would delight ourselves in His love. But He hasn’t stop there! He orchestrates the symphony of morning songbirds just so He can see you smile at their sound. But there’s more! He spins the plans that were meant to harm you into plans for good and gives us awesome surprise gifts just so we can feel loved. He even gave the ultimate gift of His Son, Jesus, as ransom payment while we were still enemies of God. 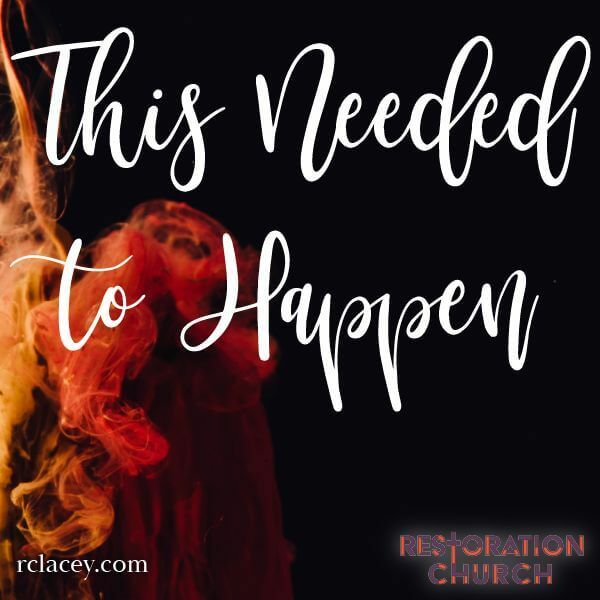 He is such a Good God who is so infatuated with us that we neglect to think of the heartache and devastation He feels when we reject His love declarations. But God doesn’t eat buckets of ice cream and binge watch sitcoms to cope – He continues to chases us… woo us…bless us… in hopes that one day we’ll choose to turn and face Him, to see His unfailing love and devotion, to win our hearts. What marvelous love the Father has extended to us! Just look at it—we’re called children of God! That’s who we really are… But friends, that’s exactly who we are: children of God. And that’s only the beginning. Who knows how we’ll end up! What we know is that when Christ is openly revealed, we’ll see him—and in seeing him, become like him. All of us who look forward to his Coming stay ready, with the glistening purity of Jesus’ life as a model for our own. 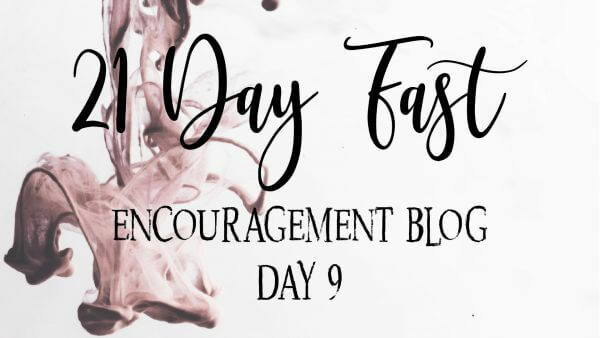 Regardless if you’re joining us on our 21-Day Fast on Day 1 for the 4th time this week or struggling to stay strong on Day 11, God is anxiously awaiting to spend time with His crush: you! Remember, it’s not the act of denying the flesh that He loves; it’s the turning of your heart to His heart and hearing how it beats for you. I encourage you to get your crush on and allow God to handwrite His name on your heart because I promise; your name is already on His heart. Listen to “How He Loves” by David Crowder Band today and let God sing it over you.